Avignonesi in Montepulciano is under new foreign ownership and direction that is actually restoring, in some ways, its Old World taste profile. 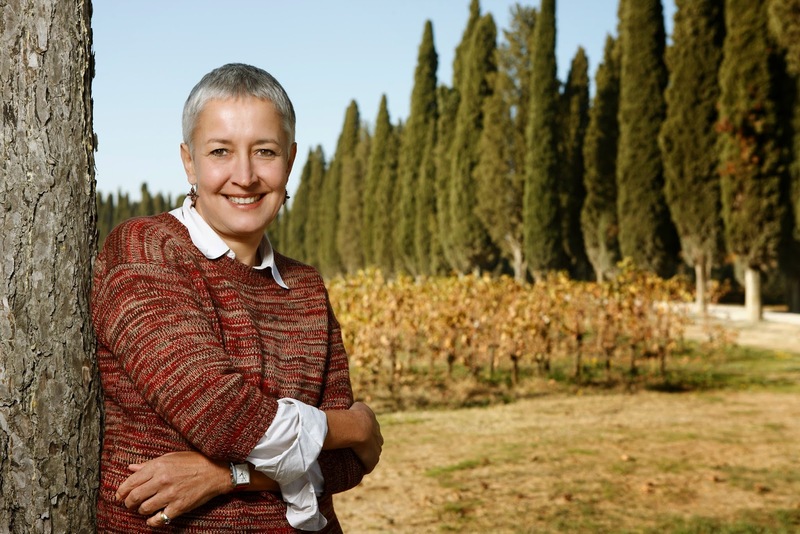 Virginie Saverys, who comes from a Belgian shipping magnate family, bought the winery in 2009 after its Italian owners, two brothers, couldn't work together anymore. 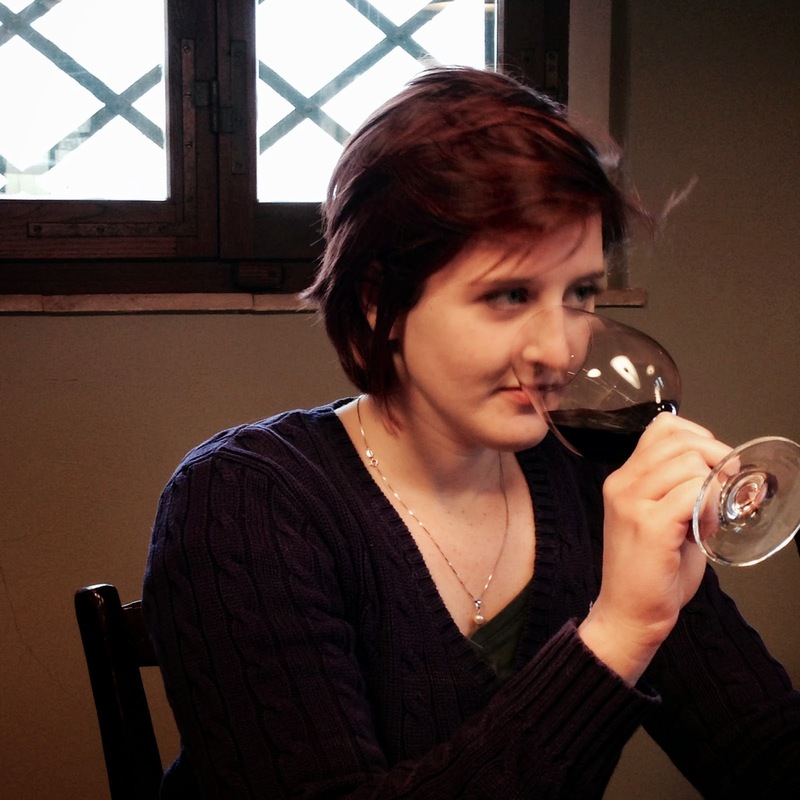 She quickly moved to take the winery toward using only estate grapes and to focus on Sangiovese, instead of the Bordeaux varieties that find their way into many wines of the region. She also is taking the vineyards biodynamic. Saverys hired an Australian winemaker, Ashleigh Seymour, and it's fair to say that she has an Australian outlook on the job. "The Italians have an 'It'll work out' attitude about everything," Seymour told me. "I put some systems in place. The main thing was hygiene. Things can look clean but they may not be clean." On taste profile, Seymour said, "We like to maintain the fruit character of the Sangiovese. We like the savory notes but the fruit character is really important. We're always seeking to get really good ripeness for the fruit." You might think that philosophy would translate to New World-style wines. But it doesn't, not at the entry levels. Avignonesi's Rosso di Montalcino is simple, savory, and even a little sour on the nose -- not a fruit bomb in any way. I like a good Vino Nobile di Montepulciano. The region is in between Chianti Classico and Montalcino geographically, and the wines are not as formidable as either, but the good ones are fine food wines with complexity yet lightness. They don't ask much of you, either in the wallet or in goatee-stroking contemplation, and they deliver a lot of pleasure. I really like Avignonesi's Vino Nobile di Montepulciano (buy here). I tasted 54 Vino Nobiles, regular and riservas, blind last month in Italy and Avignonesi's 2012 non-riserva was my 6th favorite. * It's earthy on the nose but pretty on the palate, with berry fruit and savory notes. But that was tasting, and drinking is different. At a lunch recently in San Francisco, we had three vintages together, and while I liked Avignonesi's 2010 and 2011 Vino Nobile di Montepulcianos, eventually I decided the 2012 was the best because it was the most fresh and lively and also the most savory. Perhaps it was the biodynamic practices taking hold: the wines seemed more alive the younger they got. The reason Saverys invited me and a bunch of local sommeliers to lunch was to show off Avignonesi's new highest classification, the Grandi Annate. She didn't feel confident in making this highest-class wine until the 2011 vintage, with the biodynamic program underway and Seymour on board as winemaker. Here's the PR on the Grandi Annate: it's "produced exclusively with grapes from old, tall guyot-trained Sangiovese vines from I Poggetti estate, located on hilly slopes 885 to 1150 feet above sea level ... the soil stems back to the Pliocene era ... sediments of marine origin, alternating clay and sand layers ... the old vines give very low yields ... they dig deep into the soil with their long roots and find water, thus not suffering exceeding hydric stress ... the fermentation was spontaneous with indigenous yeasts." Sounds great, right? It's not 200% new oak and super-ripe fruit and while some of it is aged in barriques, more is aged in larger tonneaux. It sounds like what you'd want in a high-end wine -- no, check that, I don't know what you'd want. It sounds like what I'd want: a single-vineyard wine of special character. But you saw the headline, and you know where this is going. It just wasn't as good as the regular wine. It was much richer and more fruit-driven and maybe the average drinker will like it better. At my table and the tables around me, they couldn't give it away, while the local sommeliers* asked for refills on the Vino Nobiles di Montepulciano. Because they were for drinking, not tasting. Or scoring. It's exactly the same concept I wrote for Palate Press about Chianti Classico, so if you want to read a little more about why I think this happens and what the repercussions are, go read that. In the meantime, pass the cheaper, better, non-top-of-the-line wine, please. "It [Grandi Annate] just wasn't as good as the regular wine. It was much richer and more fruit-driven and maybe the average drinker will like it better." In short, for you it was less "classically" Italian? Back in the 1980s, California Cabernet enthusiasts clamored for rare bottles of Silver Oak "Bonny's Vineyard" from the property surround their home. More so than the "Napa" or "Alexander Valley" bottlings. I can recall tasting those "Bonny's" bottlings. They were so herbaceous, it reminded me of pickle juice. Ugh! Louis Martini made three Cabernets in the 1970s: a "regular" botting, a "Private Reserve" bottling, and a "Limited Private Reserve" bottling. I never could figure out what the difference between the second and third version. Upon further research, the three Martini Cabs were a regular Napa Valley bottling, a "Private Reserve" bottling, and a "Special Selection" bottling. An interesting article on an estate I have visited often. The move away from the 'Bordeaux varieties' of grape may explain the absence of their excellent Sauvignon Blanc from the recent sales lists (2012/13 onwards?). A shame as it was a perfect aperitivo and /or accompaniment to fresh water fish(from neighbouring lago il trasimeno (over the border in Umbria)) or salt water fish. I wonder though about the comment concerning the Bordeaux varieties predominating in the region. Most vineyards I have visited in Tuscany admit to a predominance of sangiovese (even the Brunello of Montalcino is based on a variety 'in name only' of sangiovese (100% by the way)). Of course your article may provide another clue to the demise of the SB! The grapes came from outside the estate?? Interesting reading. P.S. Their affordable 'Avignonesi Rosso' is very good every day drinking.